Welcome to come here! You are so lucky meeting the promotion time when our store 123ink.ca is making many products on sale to celebrate the 7 anniversary. It is the best time and place to take the Premium G&G Compatible Ink Cartridges, if you are just looking for one or will need in the near future. The Ink Cartridges with good enough quality are really in the lowest price ever, missing this opportunity you’ll regret, I promise. As there are a lot of promoting Premium G&G Compatible Ink Cartridges, there briefly introduce several to give you a visual compare. If you are interested or just expected it for a long time, you can just click the products link or visit our store to get more information. Let’s have a look. 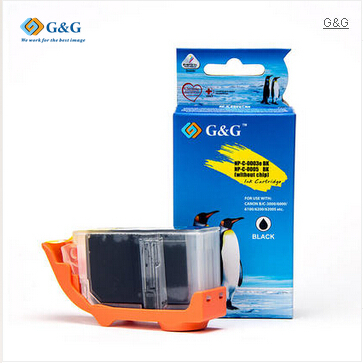 Brother LC61 New Compatible Ink Cartridges Value Pack (LC61BK/C/M/Y) – G&G™ is economical but high quality. It will be the perfect solution to save printing cost. This cartridge is made of all new components and can compatible with a lot of printers such as Brother DCP-165C, Brother MFC-J270W, Brother MFC-J630W, and so on, without any problem, of course including your printer models which use Brother LC61-Value-Pack Ink Cartridges currently. Our new compatible LC61-Value-Pack Ink Cartridges is ensured to offer you the same printing quality as good as OEM Brother LC61-Value-Pack cartridges and print at least the same amount of pages as its OEM counterparts. Moreover, the price of this ink cartridge which includes 4 ink cartridges separately in color of Black/Cyan/Magenta/Yellow and can print up to 450 pages for BK, 325 Pages for Colors in the shelf life 2 years, is only cost $11.99, which is lower than the OEMs. Canon BCI-3eBk New Compatible Black Ink Cartridge – G&G™ can offer you the ultimate printing experience just like the OEM Black ink cartridges. It is compatible with many printers including Canon MultiPASS F30 / Canon MultiPASS MP730 / Canon i850 / Canon i560, et al. It can print as much as 750 pages in its 2 years shelf life time. Moreover, it only costs $1.95. What a good deal! For such a lower price compared to the OEMs, you’d better to take such a good Black ink cartridge with no words by this opportunity. 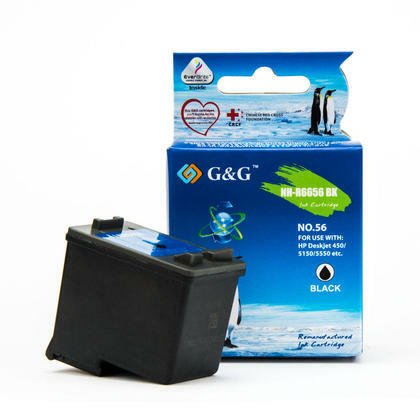 HP 56 Remanufactured Black Ink Cartridge (C6656AN) – G&G™ is a kind of ink cartridge recycled from an original cartridge which is known as HP HP56 C6656 Ink Cartridge. This product has been refurbished by a factory with a 12 steps strict process to ensure the quality will meet the same standards as its OEM counterpart. And it is made in environmentally friendly. Except that, it can compatible with nearly all Hp printers like HP DeskJet 5552 / HP DeskJet 5850 / HP DeskJet 9650, and so on. Moreover, this products is far lower than the OEMs, it can help you save a lot more printing cost but with just good enough quality. Right now, here only cost $ 11.95. With it, you can print up to 450 Pages in its 2 years shelf life. The above is only three of the ink cartridges among the lots of the same kinds of product in our store 123ink.ca Visit there you can get more surprise. What’s more, our company will ship free for the products over $49. Nice shopping by grasping this opportunity!